Many students around D.C. are hoping for a storm that’s not disastrous, but strong enough to make universities close and give us all a long weekend. Of course, hurricanes are powerful weather events that are no laughing matter. The damage from Hurricane Maria alone is devastating, but President Trump refused to accept that the death toll had reached 3,000+ and alleged the Democrats were just trying to make him look bad in a tweet he wrote on Thursday, September 13. He then followed up with “I love Puerto Rico!” a statement that has all of the conviction of someone who went there on a 4-day vacation and follows Lin-Manuel Miranda on Instagram after listening to Hamilton once. However, memes about the hurricane are definitely for laughing at. 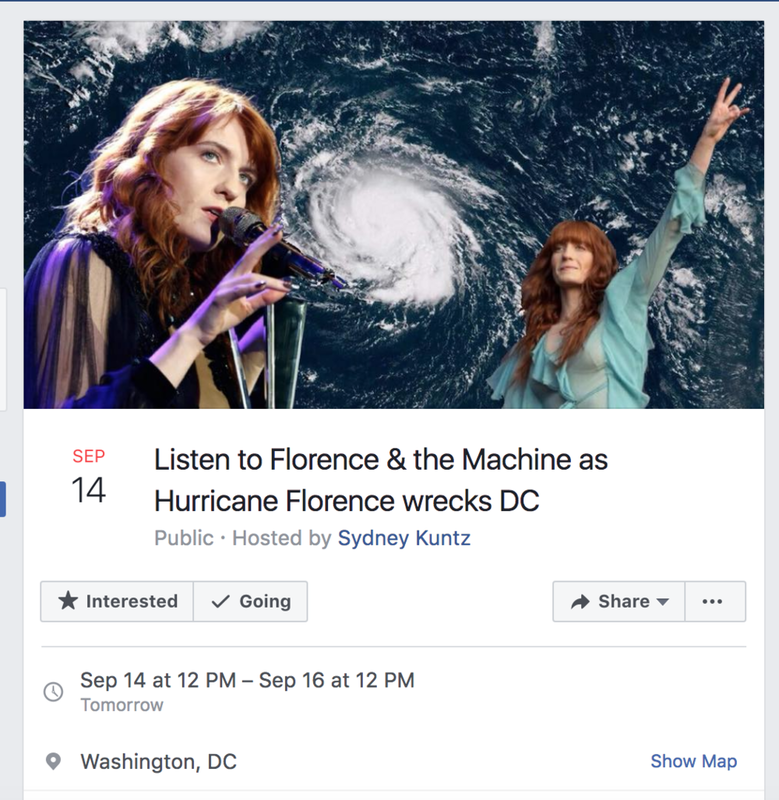 Here’s a collection of the funniest hurricane Facebook events that are guaranteed to at least make you snort air out of your nose. So sit back, relax and forget about the visible signs of climate change happening outside your window. Because Spongebob memes are king. That’s all its good for at this point. In classic, AU Wonk style. Just throw the whole administration away. Stay safe out there, kids.